Absolute favourite - made in Rio! 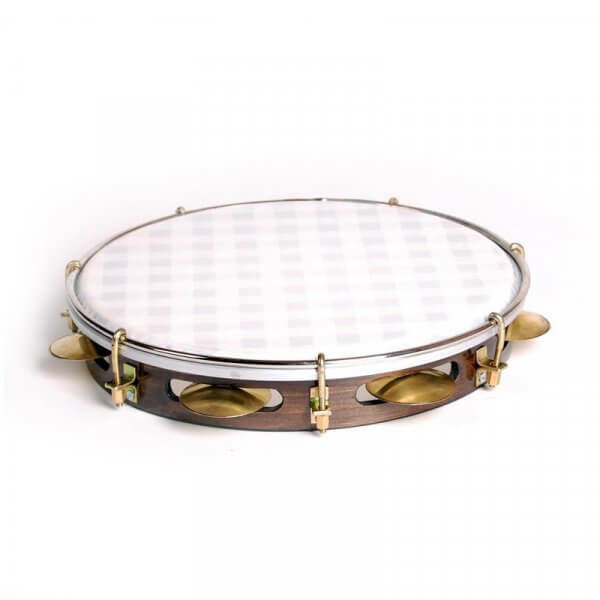 You are looking for a low pitched pandeiro for Funky Grooves, Coco, Pagode or any other style, a handcrafted but resilient pandeiro with a fantastic sound? This modell by Pizzott has this special concept! A synthetic head which is not high-pitched like it usually is in Pagodes, but kept on a low, warm, full and bassy tone amazingly similar to a natural head. The milky white nylon head is masked with a tight grid of crepe tape on its reverse side so that the head won´t flutter. Like this it is able to produce an overtone-poor and wonderfully bass-focused sound! Fortunately, nylon heads are also less sensitive to moisture, additionally the tone is complemented by finest jingle sound. The brass jingles are hand-hammered and have a small inserted interleaf inbetween each pair. The slighlty higher weight compared to the natural head series by Pizzott’s manufactury is explained due to an additional pair of jingles. 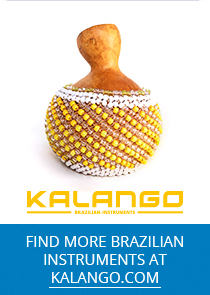 Marcos Pizzott himself is a percussionist in great demand in the Samba scene of Rio. With this instrument he has managed to develop a fantastic pandeiro which you can play throughout all styles and which is really fun to play! An absolute favourite! Nuts made of brass, brackets, hooks and the rim are made of steel. The masking pattern can vary.